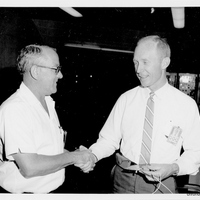 On June 28, 1965, during Project Gemini, General Dynamics Astronautics Manager Dr. Cal Fowler (1929-2013) was presented a memento of appreciation for 10 years as a test and launch conductor at with company. 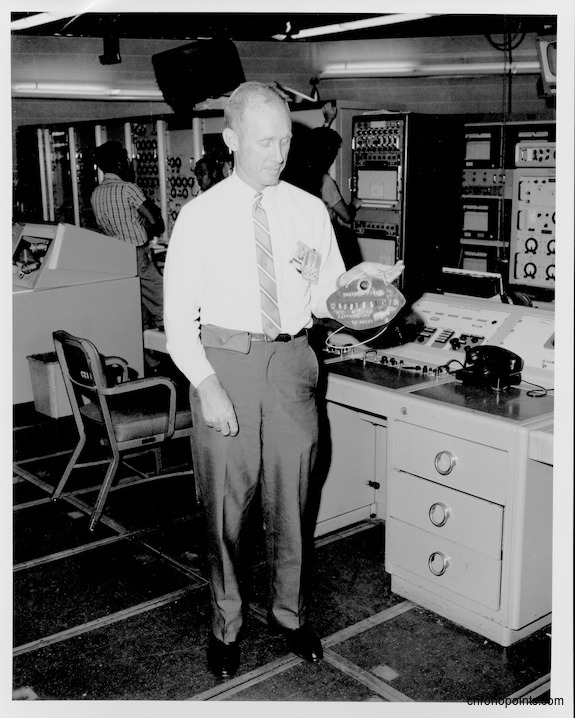 At the time, Dr. Fowler was manager of Cape Canaveral Air Force Station (CCAFS)'s Launch Complex 14 (LC-14) in Cape Canaveral, Florida. The Atlas-Agena unmanned launch vehicles lifted off from LC-14. The Agena upper stage was modified so the manned Project Gemini spacecraft could practice docking maneuvers with it in preparation for Project Apollo and the eventual moon landing. Original black and white photographic print, June 28, 1965: Private Collection of Dr. Calvin D. Fowler. Digital reproduction of original black and white photographic print, June 28, 1965. 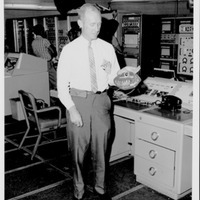 Hacker, Barton C., and James M. Grimwood. On the Shoulders of Titans: A History of Project Gemini. Washington, DC: National Aeronautics and Space Administration, Scientific and Technical Information Division, Office of Technology Utilization, 1978. 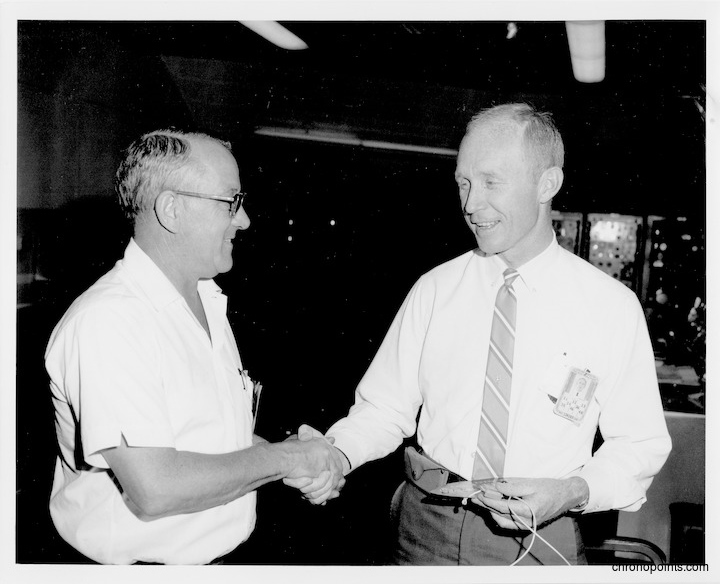 “Memento of Appreciation Presented to Dr. Cal Fowler.” RICHES of Central Florida accessed April 18, 2019, https://richesmi.cah.ucf.edu/omeka/items/show/6397.